Searching for something to fill up that chipped edge to make it useful again. I mean, I need to feel useful again. If things really got steamier, tell me, what would you do next? Haha. Do you want to go out of your mind and take a wild guess what I've just bought? Okay, actually more what my mum have paid the bill for? Wahaha. Or maybe you don't really care. Hehe. Hip Hop has never been part of my dressing sense. Seriously, if you see me many times enough, or just any one time, you'll know that my daily 'Dressing-up Game' has never included hip hop style. I guess it is because it's just not my thing. Hehe. I don't know how I was suddenly so drawn towards ankle-high sneakers recently, I believe most of the influence come from all the other dancer friends of mine from my vocal school! Gees. They have them in so many shocking traffic lights colours! I don't like how bulky these shoes are and how bulky it will make me look since I am already quite a big size person and also especially I have a giant pair of feet. But anyway, this very one day, on a Monday night, I walked into Pull and Bear at One Utama and spotted one also purplish and also an ankle-high, but in a male size. I took it off from its rack and placed it beside my right foot, stood sideways and look into the mirror on my right side. From a distance, it was as if I was putting in my foot into the shoes. Well, this shoes does look good on me babeh. haha. But I don't find a reason why I should get it since I don't dress that way. So I put it back to the rack and pick on the females' shoes rack instead. I came back to Penang and went to a sports apparel retail. 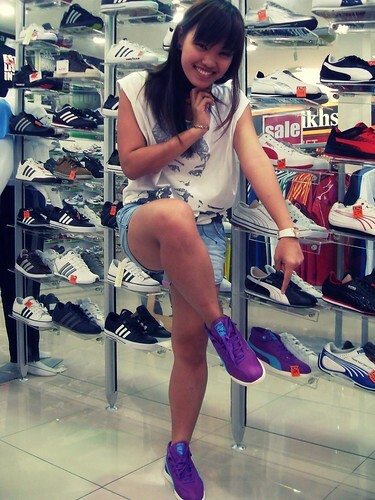 Spotted another pair purple ankle-high sneakers and went even more excited after looking at the price! So excited, but I still didn't get it. I still can't find a reason why I should get something I don't usually wear. Over Christmas, I went to Singapore. 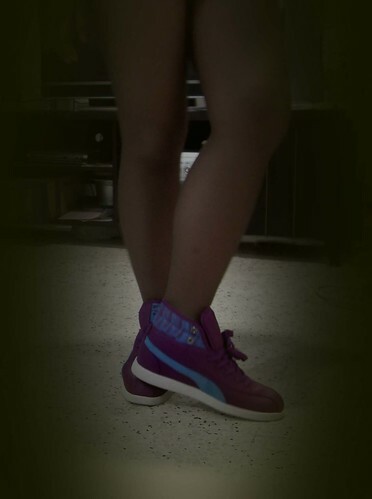 Subconsciously, my brain was pushing my body into every Puma boutique that I walked passed. To my dismay, they do not have that colour in the entire Singapore, according to one shopkeeper. Sigh. 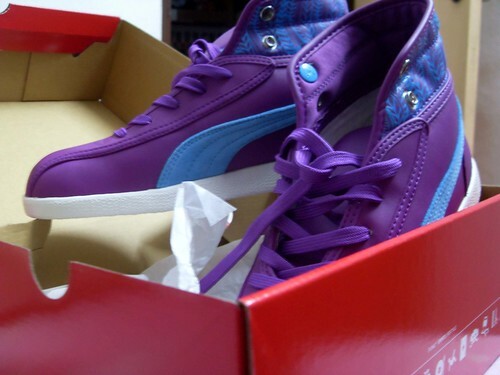 I was a tinge bit worried that what I saw wasn't what I saw and all that purple Puma shoes that I saw was an illusion in me that was formed due to my sudden arise of interest in ankle-highs! Haha. Wtf. Suddenly so creepy. I tried on and my mum happily bought it! Weeeheee. Awesome or not! Now I really have to dig into my wardrobe and see what can I do to my purple hottie! Await some different Dressing Up game from me! One more day and we'll be stepping in a brand new 2011! Make your resolutions and commit to achieving it. I've stopped making resolutions since few years ago, fear of not achieving it at the end of the day. This year, I promised myself to make my 2011 a great year and I will list my new year resolutions and really achieve it! I've enough of not-so-great years slipping by with a blink of an eye, with no proper aim and not so much of sense of achievement, so this year I am to make it really awesome. 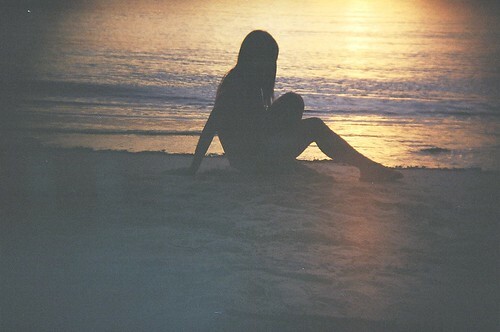 Well, life is great, IF YOU choose to make it so! O-M-G. *stretches out eyeballs and mouth* Hiiiiiii! Omg, long time no see! *big hug* Omg, how are you……….!!! That’s what always happens when I suddenly bump into someone that I havn’t been keeping in touch or someone that I never expect to see that someone anytime, anywhere like that. Wahahahah, how much more lamer can I be, man. But indeed, it’s been sometime since I updated this writing space of mine, which I love when I have the mood to, and I disguise when I’m forced to update it. Well, nobody forces me to, is just that a lot of times, I write halfway in my blog draft and left it hanging for it to-be-continued the next time, but I just never really regain that enthusiasm to write until the last fullstop. So now, I am (part time) back! Hehe. And then I don’t know what else to say already. Writer’s block. (is an excuse). Because I am so bloordy distracted by the Singaporean drama series that my sister is watching. ARGH. I’m wearing my headphones, put on Jay Chou’s music to stop myself from being distracted. No time to write already. Sorry for wasting a tinge bit of your time. What you see is what you get! 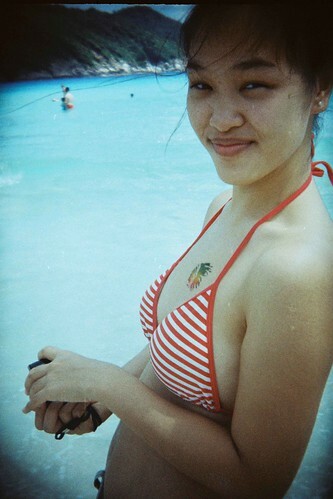 (Well..probably, just..sometimes ;D ) Straight-forward + LOUD + bubbly + outspoken + passionate = Chin Fern. and I Love Music. Liow Ying Tian. She's from G-Clique.